Certainly you remember the cute Paul's (Sariel) Pallete Jack published here at TBs . Today I found another similar implementation (Pallete Truck) from Peer Kreuger, which I belive now to have been done before. Also a great model full of simplicity and geniality. 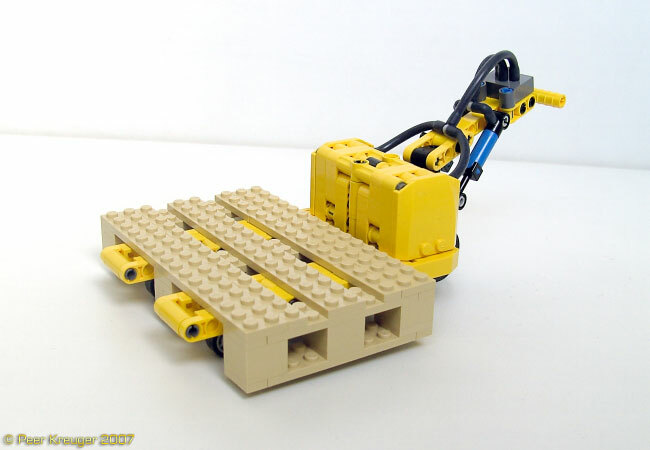 According to the author it is aproximately in scale, with the LEGO 8416 Forklift. 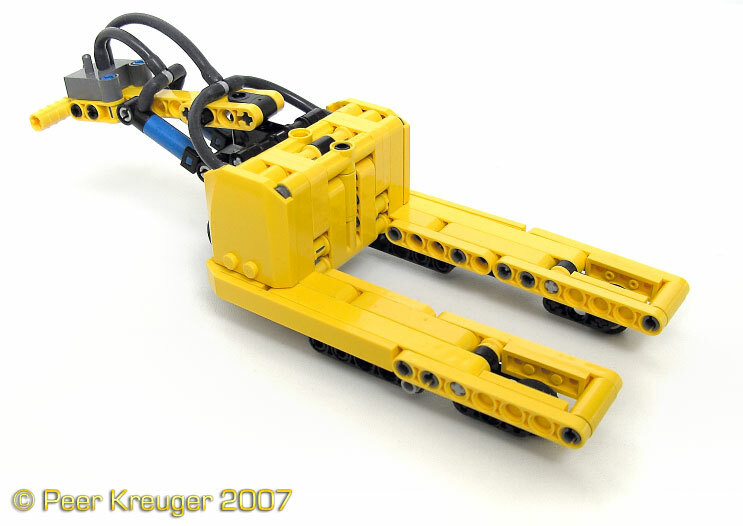 See more, at Peer Kreuger's LUGNET MOC advertisment, at his Brickshelf folder and MOCpages. Wow, I feel spooked! This pallet jack works just like I suggested on the other post! Anyway, this one looks very nice too, and quite "marketable" by LEGO. 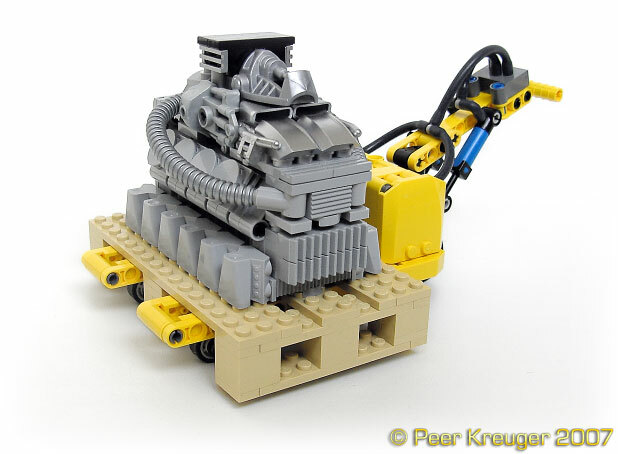 Heck, if LEGO wanted to turn this into a bigger model, all they had to do was to take on the "motor" idea and add a 21st century version of the 858/8858!